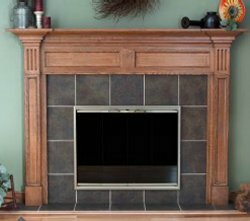 We've included listings for companies such as Master Wood Carvers and Trestlewood inside our Mantels guide. Operating in Southeast Oklahoma since 1991, this sawmill offers fed cedar log siding, pine log siding, cedar flooring, pine flooring, oak flooring and aromatic red cedar for other interior and exterior uses. Based in Austin, Texas, this manufacturer and retailer specializes in antique long leaf heart pine flooring - including both wide-plank and quartersawn. The company also sells Douglas fir, Virgin Tidewater cypress and Eastern white pine - makes custom millwork, stair parts and fireplace mantels. 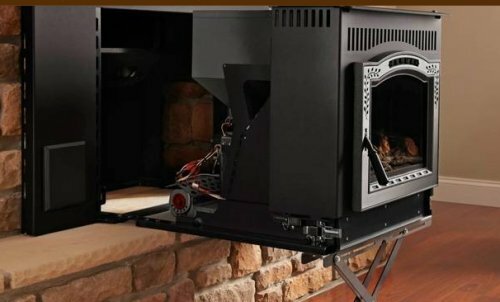 A fireplace insert that rolls out for servicing.